Looking for a funded early education place in Staffordshire? Our directory can provide more information on funded early education places for 2-4 year olds and details of providers who offer funded places. See our related page on funded early education and childcare to search the directory. Watch our videos outlining Jo, Nicole and Amy's story. These local parents talk about how funded childcare has helped their child with special educational needs. Working families with children aged 3 & 4 years may now be able to benefit from an additional 15 hours of funded childcare (30 hours in total). 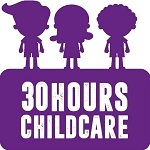 Parents should also be aware of the extended criterion which includes eligibility for 30 hour childcare where one parent is working and the other parent has caring responsibilities. Tax free childcare – Up to £4,000 per child, per year available for families towards childcare costs. For parents with a disabled child, up to £4,000 per year is available towards childcare costs. The funding can be used for childcare parents pay for (outside of the funded entitlements for two, three and four year olds). Visit the Childcare Choices website.